From February 17, 2018, 12 Japanese students visited Washington, D.C., for two weeks to attend the Building the TOMODACHI Generation: Morgan Stanley Ambassadors Program. The 12 Japanese students and 9 American students spent two weeks together for cultural exchange and leadership development, and ultimately learned about a multitude of cross-sector partnerships designed to solve various social challenges. In the first section of the program, the students learned the theoretical and practical concepts of civil society through lectures and panel discussions. In addition, the students learned about social issues in the Tohoku region to deepen their understanding of the role of civil society in the U.S. and Japan. The students were divided into three teams, with four Japanese students and three American students in a team, to develop a project that leverages the strengths of civil society to resolve persistent issues in the Tohoku region. The purpose of this activity was for students to utilize their learnings from this program and to develop their own leadership style and communication methods by working with team members with contrasting backgrounds and viewpoints. 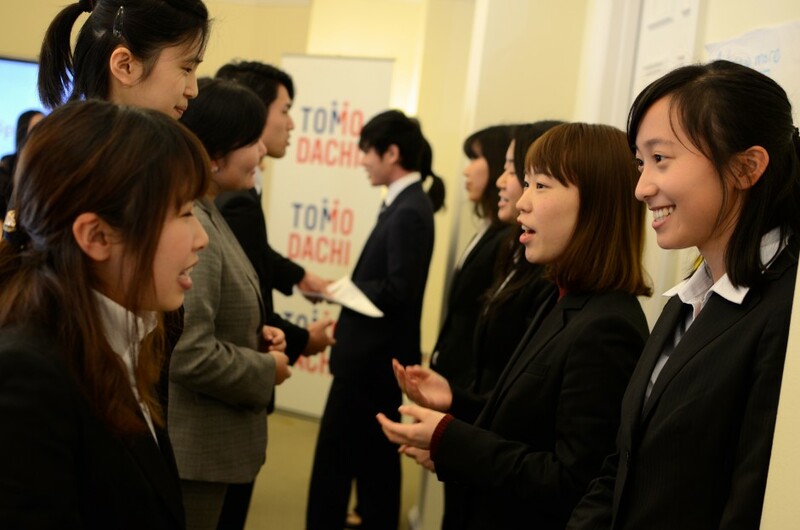 On the final day of the TOMODACHI program, the three teams presented their respective projects to a panel of three judges. The three judges were Ryan Klang, Chief Operating Officer of The Washington Center; Dr. Kazuhiro Maeshima, Operating Advisor of U.S.-Japan Institute and professor at Sophia University; and Bruce Hollywood, USJC member. The winning team was Team KAKEHASHI. 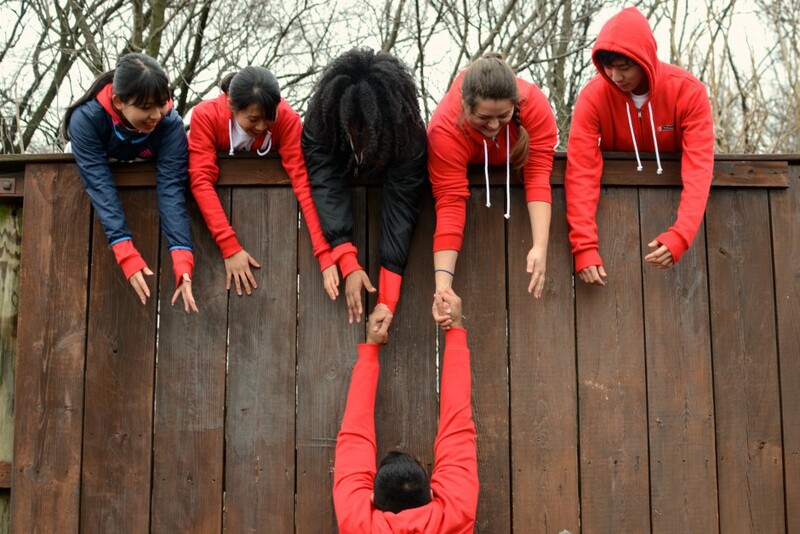 Their project was to alleviate trauma of Ishinomaki city youth through a leadership program. Team KAKEHASHI plans to initiate interactions between the families of Ishinomaki city high school students and that of the victims of the Great Hanshin earthquake. Their detailed plan involves Ishinomaki city high school students visiting families in Kobe to attend various group discussions and panels and to explore the reconstructed Kobe city. Other teams were also praised highly by panelists. Team Paper Flower planned for Onagawa city youth that have had few educational opportunities to be engaged in the seaweed aquafarm business and develop local shops. Through the program, students would engage in extracurricular activities and learn to independently develop health supplies to attract visitors. Team Building Intergenerational Growth (BIG) suggested a university investigation program to reduce intergenerational separation. This program proposed that university students from all over Japan live with the elderly citizens in Minamisanriku city to learn about social problems and disaster recovery for university credit. Not only would this give students an opportunity to learn about their society, but also provides a chance to strengthen intergeneration bonds. Ekaterina Hauff from Tiffin University commented that she enjoyed talking with the Japanese participants and learning more about their culture. Despite running into disagreements, she reflected that she was thankful for the opportunity to work as a group. 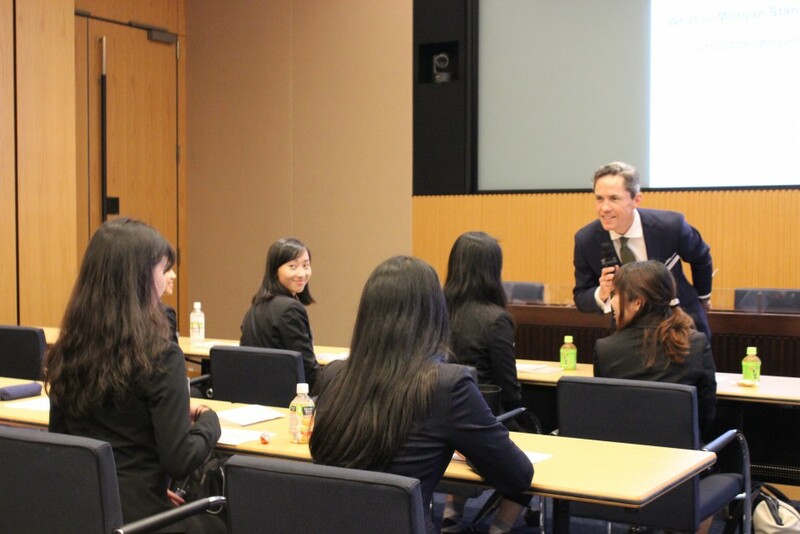 On March 5, a day after returning to Japan, the Japanese students attended a debriefing session and reception hosted by Morgan Stanley Japan Holdings Co., Ltd. The students were able to present their projects as well as enjoy a presentation by Chief Administrative Officer David Richards. There was also an opportunity to interact with Morgan Stanley staff through the reception and Q&A session. Generously funded by Morgan Stanley, this program was implemented in partnership with The Washington Center and the U.S.-Japan Research Institute (USJI).